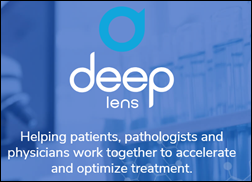 Pathology image detection support system vendor Deep Lens announces $3.2 million in seed funding and availability of its free VIPER service for pathologists. Co-founders of the Columbus, OH-based company are CEO Dave Billiter, MBA (Cardinal Health) and President Simon Arkell, MBA (Predixion Systems). The company is based on work first performed at Nationwide Children’s Hospital in Columbus. Cost. Although technology costs are going down, deploying biometric readers broadly is a big expense and requires a coordination effort that you don’t want repeat often as those technologies change. Workflow integration, which has been mostly solved, I expect. The creep factor. Years ago I got the job of convincing nurses that our newly implemented fingerprint scanning for drug dispensing machines did not mean we were storing their fingerprints or checking them for criminal history. If hackers breach your system or someone grabs a patient’s fingerprints or takes a picture of their face, your patient is screwed because unlike passwords, they can’t change their biometrics. My conclusion is that perhaps all of these problems could be solved by using the patient’s own phone as the biometric reader. People are happily using fingerprint recognition, voice recognition, and in some cases with higher-end phones, facial recognition to identify themselves for their own security. You would think that the hospital’s reader could connect via Bluetooth, although that’s a minor patient setup issue as well. Or, to address that issue as well as the fact that not everyone has a cell phone, maybe the hospital could use its own cell phones, handing one over temporarily to the patient to provide a less-threatening biometric ID process using a familiar consumer device. For Biometric Believer, I created a poll for providers to say if they’re using biometric patient ID or why they don’t. Vote and then add a comment to elaborate. 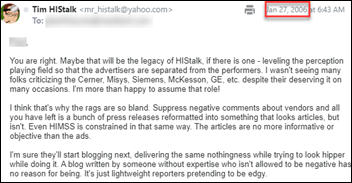 From Arthur Allen: “Re: HIStalk. I spotted a rare error in Friday’s update. The VA’s assignment of Paul Tibbits to executive director for the Office of Electronic Health Record Modernization is not a direct replacement of Genevieve Morris. Title-wise at least, Tibbits and Morris differ. She was CHIO, but was also ostensibly in charge of OEHRM. Tibbits is the exec director and they described his job a little differently as well, more of a liaison with OIT, leaving Captain Windom in charge of OEHRM.” Good point, thanks. John Windom, III led the Cerner selection and rollout by the DoD. Arthur is Politico’s e-health editor who made me beam with his “rare” adjective. From Kermit: “Re: pre-existing conditions. NPR has a good analysis of the nuances.” The article notes that Republican leaders recognize that it’s politically unwise to take a stand against pre-existing conditions since at least 25 percent of us have them, yet their continued efforts to dismantle the Affordable Care Act and to encourage junk insurance plans as an alternative are making them legal once again after several years. Medicare and Medicaid don’t have pre-existing condition limitations, so claims by Democrats that everyone would be impacted by ACA changes isn’t accurate. HIPAA is a factor since most Americans get health insurance through their employer and HIPAA doesn’t allow those insurers to deny coverage or price premiums based on medical history, but even that’s complicated since some HIPAA protections were moved into the ACA and might die along with it if ACA doesn’t survive legal challenges given the White House’s strategy of not defending it vigorously. TL; DR: everybody hates pre-existing conditions except politicians, who will throw those who have them under the bus if it helps their party. I ran this poll to encourage folks who are struggling with an involuntary career change. Respondents who were fired, laid off, or relocated a few years back overwhelmingly say it turned out to be a positive development. Marketing Guy was let go the same week he and his newly pregnant wife bought a new house, but he eventually got two job offers, took one that allowed him to move his family to Europe, and rose within that company’s ranks over 10 years. His advice is to keep working hard (even if that work involves job-hunting), keep learning, and stay positive. Hermanator was fired due to office politics from a company he had helped start, but he says it was the best thing that could have happened because he then started an even better company. He advises that folks take a break, reflect, learn from any mistakes they made, focus on their strengths, and find a new opportunity they can get passionate about. New poll to your right or here: which would you value most highly in your personal doctor? You don’t get an “other” or intellectually lazy “all of the above” option because it’s my poll and I know what I’m trying to assess, but those who feel deprived that they weren’t given an essay question can click the “Comments” link after voting and opine away. Old friend of HIStalk Alex Scarlat, MD (we first corresponded sometime before 2011, I found by searching my old emails) is doing fun work on his own with machine learning. Check out his DogBreed.io, which can identify a dog breed from a photo with 97 percent accuracy (giving you some idea of the excitement behind using ML for diagnostic imaging analysis). He says he wrote it in under 50 lines of Python code. Alex has also done some work with weather prediction that is showing high accuracy. I have suggested that he consider writing a primer series on machine learning for clinicians for HIStalk, a non-technical review of what’s inside the black box and where it might be good (or not so good) for healthcare applications. I realized that my ancient Yahoo Mail account is a treasure trove of 80,000 emails going back to August 2004, 14 months after I started HIStalk (I don’t recall which email provider I used before then). Reading the names of defunct companies, seeing email from now-retired or deceased industry people, and marveling at my energy and exuberance in my emails way back then made me nostalgic. Yahoo Mail is still the best service I’ve used and its search is excellent, so let me know if there’s something fun I should search for (people, companies, unflattering terms, etc.) I found my first-ever interview from late 2004 that I thought was lost forever (with Meditech’s Howard Messing); planning emails from the first HIStalkapalooza in 2008; and threats from an industry magazine’s publisher who was unhappy that I ridiculed a newly assigned health IT reporter who was hired from a pastry magazine. Four private equity firms and activist investor Elliott Management are considering placing a bid to acquire Athenahealth, sources suggest. Pamplona Capital, which was previously rumored to be interested in acquiring the company and merging it with its NThrive holding, is not listed in the latest round of rumored potential acquirers but is presumably still in the hunt. ATHN will announce earnings on Thursday. Somehow you get the feeling that Elliott’s malicious manipulation isn’t going to be good for Athenahealth, its customers, or the health IT industry, but I’m sure some money guys will figure out how to enrich themselves while creating nothing more than mayhem. 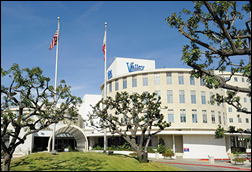 Valley Presbyterian Hospital (CA) tries to ride the coattails of the new Neil Armstrong movie “First Man” by reminding everyone that it was the first hospital to use telemetry-based patient monitoring back in 1966, when Spacelabs took NASA’s astronaut monitoring product into healthcare. Drug maker Allergan joins TriNetX’s global health research network to analyze patient cohorts, choose study sites, and determine drug study protocol feasibility. The Kentucky Hospital Association joins Collective Medical’s care collaboration network to allow state hospitals to identify patients with a history of substance abuse or treats to ED staff safety as well as to identify and support complex patients. Select Specialty Hospital-Johnstown (PA) will replace Medhost with Epic in 2019. Maury Regional Health System (TN) will implement Cerner in November 2018, replacing Meditech. Mercy Medical Center (MA) went live with Epic in September 2018. Washington County Regional Medical Center (GA) will go live with Evident financial management on November 1, 2018. Wayne, PA-based behavioral health solution vendor Tridiuum hireshttps://tridiuum.com/tridiuum-expands-executive-team-with-cro/ Chris Salvatore, MBA (Halo Communications) as chief revenue officer. Intelligent Medical Objects promotes Eric Rose, MD to VP of clinical informatics. Mayo Clinic has been going live with the Visage 7 Enterprise Imaging Platform along with its Epic go-lives, finishing up last week at its Jacksonville and Scottsdale campuses. Mayo now has a single enterprise imaging platform and diagnostic viewer along with Epic-driven interpretation workflow across its national network. Maitland, FL-based Therigy, which sells specialty pharmacy software for therapy support and patient assessment, says it has reached 100 million patient engagement activity and assessment responses. The company offers care plans and assessments for 20 conditions, with 900 assessments covering 400 medications. A tweet by CMS Administrator Seema Verma implies that EHR vendors are responsible for the lack of interoperability adoption (which I’m wording intentionally as a combined technical and business problem as opposed to “lack of interoperability capability” as a purely technical issue). 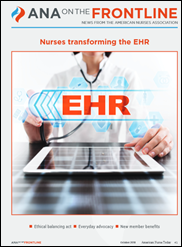 She says “doctors should be able to seamlessly exchange data between EHRs,” failing to note that many of them who are properly motivated already do in proving the product’s capability, while those using the very same EHR often remain as information silos. Commercial companies can collaborate with providers to offer electronic diagnosis, telemedicine, or e-hospitals, but they can’t provide those services on their own. Only licensed professionals with at least three years of clinical practice experience can offer online diagnostic services. Patients can use online clinical services only for follow-up visits. Physicians must refer patients to traditional channels otherwise. Remote consultation and prescribing is allowed as an adjunct to a hospital visit. Controlled substances may not be prescribed as part of a telemedicine visit. You won’t like this if you think HIMSS already has too much influence by running its own conference, media, and advertising empire and absorbing competitors by acquisition. HIMSS will help health services research organization AcademyHealth run Health Datapalooza 2019, which used to be a rather quiet conference targeting mostly federal government leaders and data wonks. You may take it to the bank (and HIMSS will) that the exhibit hall is going to get a lot bigger. HIMSS haters might not like this, either. HHS will work with Healthbox (acquired by HIMSS a few months ago) to convene quarterly Deputy Secretary’s Innovation and Investment Summit meetings to ask investors which policies are standing in the way of innovation. Healthbox is a business accelerator that HIMSS acquired to expand its consulting, investment fund management, and startup assistance programs in uncovering yet another way to compete with its paying members. Speaking of HIMSS, they’ve yet to respond to my October 2 request for their non-profit Form 990 federal filing, which they are required by law to provide (but maybe not promptly), even though I notice that I fawningly and mistakenly said “please” twice in the same sentence. I’m always interested in its salaries, revenue by segment, and the occasional buried information about its acquisitions. Data models do not accurately capture nurse assessment and interventions, focusing instead on patient demographics, diagnoses, and procedures instead of the actions that nurses take. 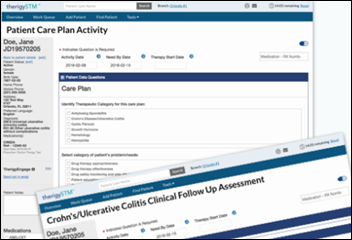 All care team members should be able to add to the electronic care plan documentation, including non-clinical information such as social determinants of health, and that documentation should be supported by health IT standards. A study has found that the EHR requires 593 clicks for a nurse to complete the nursing admission assessment and that 31 percent of the required items were already documented elsewhere, motivating Vanderbilt University Medical Center to create a “click gatekeeper” team that must approve requests to add items to the nurse documentation record. 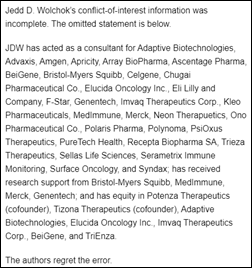 Several prominent Memorial Sloan Kettering Cancer Center researchers update their conflict-of-interest disclosures in previously published journal articles, adding previously undisclosed financial ties to drug companies. One doctor added 31 company affiliations, while another’s updated long list of company ties includes being paid consulting fees, owning stock options, and co-founding a company. MSKCC says each journal has its own disclosure requirements and some require authors to disclose relationships unrelated to the study being published, complicating the issue. Weird News Andy titles this story as “CO and Old Lace.” In China, an anesthesiologist who was having an affair with the tutor of his children is sentenced to life in prison for killing his wife who refused to divorce him (his 16-year-old daughter also died as unintended collateral damage) by filling a yoga ball with carbon monoxide, removing the stopper, and placing it the trunk of his wife’s car. 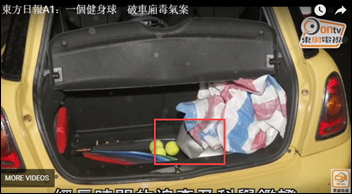 The deflated ball raised the suspicions of police, who then found that the doctor had ordered the carbon monoxide from his university employer claiming he needed it to perform animal tests. Intelligent Medical Objects chairman, chief innovator, and co-founder Frank Naeymi-Rad, PhD, MS, MBA will be inducted into the American College of Medical Informatics at AMIA’s annual symposium in San Francisco November 3-7. InterSystems makes its IRIS Data Platform available in the Microsoft Azure Marketplace. Waystar will exhibit at HFMA Region 2 Conference October 17-19 in Verona, NY. Nordic will exhibit at the Georgia HIMSS Annual Conference October 16 in Atlanta. Clinical Computer Systems, developer of the Obix Perinatal Data System, will exhibit at the AWHONN Iowa Section Conference October 16 in Des Moines. Recondo Technology will present at the Health Management Academy’s CFO Forum 2018 Meeting October 17-21 in Deer Valley, UT. Experian Health will host its 2018 Financial Performance Summit October 22-24 in Dallas. Redox partners with Smart Health Innovation Lab to help innovative healthcare startups accelerate time to integration. Sunquest will exhibit at ASHG 2018 October 16-20 in San Diego. Surescripts CEO Tom Skelton will keynote the Value-Based Care Summit October 17-19 in Boston. T-System offers disaster relief sheets free of charge to hospitals in the path of Hurricane Michael. Voalte will exhibit at the 2018 Michigan Nursing Summit October 18-19 in Lansing. FormFast joins the Zen Healthcare IT Interoperability Community. ZeOmega will exhibit at the 2018 CAHP Annual Conference October 22-24 in San Diego. MDLive will provide online medical consultations at no cost to patients affected by Hurricane Michael.